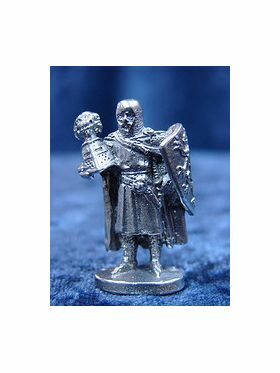 One of the knights of the legendary Round Table, Sir Tristram of Lyoness was champion and nephew of King Mark of Cornwall. 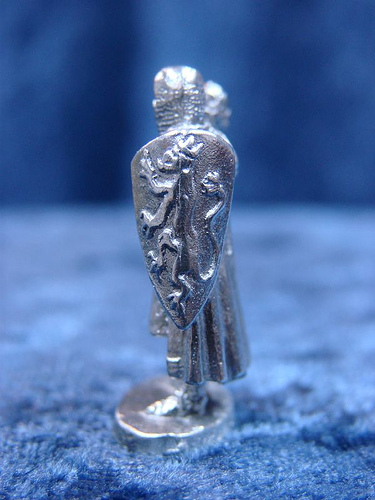 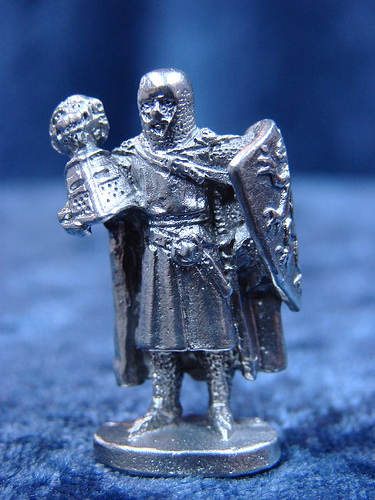 Handcrafted exclusively for the Perth Pewter King Arthur's Court series by the very talented Ray Lamb, this sculpture measures 1 1/4 to 1 1/2 inches tall. 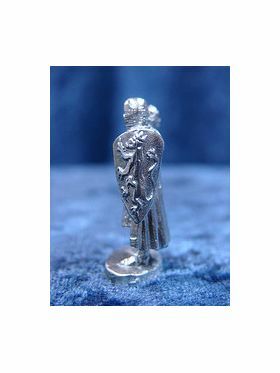 Collect all five in the series--Sir Tristram, Guinevere, King Arthur, Wizard with Owl, and Princess!